D’Arcy Vanderpool, Marriage & Family Therapist in Las Vegas, is a visionary Happiness Coach offering marriage counseling, couples therapy, life coaching, Vision Quest Retreats and more. Hi, I’m D’Arcy Vanderpool, the Chief Happiness Officer at the Center for Relationship Happiness. 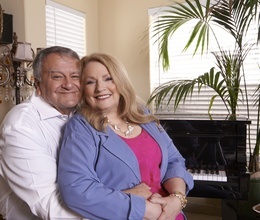 I’ve been helping couples and individuals transform their lives and relationships since 1975. As a Marriage and Family Therapist, I’ve heard it all. I know you want an experienced person to listen and understand you. But I also know you want more. You want to walk out of my office incorporating your knowledge and my experienced assessment of what the issues are, perhaps where they came from, and what you can do to improve them, starting now. Together we will create your own individualized map for your journey to increased wellbeing. I love being welcomed into your private world and discovering paths for you to try, opening yourself up to your potential for success, happiness, and love. I focus on giving you competent guidance for your life and relationship. We explore your old patterns, get you unstuck, and implement skills to discover answers that will give you increased happiness and a relationship full of peace and happiness. I work with a lot of powerful individuals and couples, some who have seen other therapists and were not pleased with the process or results. I’m passionate about people getting feedback, guidance and options for actions leading to improvement. You deserve the best guidance and opportunity to build skills you can use for a lifetime. This is why I created Dr Happiness and the Center for Relationship Happiness. I love working with clients who want to change and who demonstrate the courage and dedication to become more loving and more of their authentic selves. It is a joyful experience to help others create a loving relationship and a life filled with happiness and well-being. turn the direction of their marriage and be in love again. I am passionate about people reconnecting with their true selves and living a more engaged and meaningful life. It is an honor to be a trusted advisor for individuals, couples and families who become more of themselves and more magnificent people full of serenity, hope, and joy. Why is D’Arcy Uniquely Gifted to Help Others Find Happiness? My clients usually begin with a story about how their friend referred them saying I was genuine, straight-forward and direct. I like to joke and tease my clients into mental health! I will tell you like it is but it will be humorous. Personal growth is a serious business, but I believe we might as well have fun doing it. My clients tell me they appreciate my directness and humor. They also seem to appreciate my wisdom, too. I have been studying and researching psychology since my mid 20’s. I have specialized in positive psychology the last 15 years and have used and developed many proven and cutting edge interventions backed by research that help both my coaching and clinical clients move successfully forward. with insight, enthusiasm and positivity. The work we do together will give you confidence, the inspiration to go after your dreams, and the skills to accomplish your personal and professional goals, giving you the personal happiness and relationship satisfaction for your optimum well-being. D’Arcy Vanderpool, MA, MFT, PCC is a respected leader in the field of personal growth. She is a Licensed Marriage and Family Therapist, Certified Professional Coach, and Certified Mentor Coach. a relationship expert for thousands of talented and successful couples. D’Arcy is committed to empowering her clients to move from their places of pain and deficit, through their stumbling blocks and sabotaging behaviors; through clarity, goals and accomplishments; to places of freedom, peace, success, and love. Her ideal clients are talented and powerful people who want to improve their personal lives and relationships to flourish and live the good life. Happiness and wellbeing is what they are after. They usually have positions within the community, their professions, and their families which give them the opportunity to influence many others towards living a life of meaning, service and happiness. D’Arcy received her Master of Arts in Psychology from Antioch University, and currently is a Ph.D. Candidate in Professional Coaching and Human Development at the International University of Professional Studies. Her Bachelor’s in Speech is from Illinois Wesleyan University. She is a Licensed Marriage and Family Therapist in Las Vegas, a Professional Certified Coach (PCC) with the International Coach Federation (ICF), and a Certified Mentor Coach (CMC) and Senior International Trainer. She is also certified as an Authentic Happiness Coach and Facilitator with Martin Seligman, Ph.D. from the University of Pennsylvania; additionally she is certified as a Quality of Life Therapist and Coach with Michael Frisch, Ph.D. from Baylor University. D’Arcy has specialized training in Gottman Method Couples Therapy, EMDR, hypnosis, trauma, Dissociative Disorders, MFT supervision, and, of course, positive psychology. Senior International Trainer at MentorCoach, an ICF Accredited Coach Training Program. 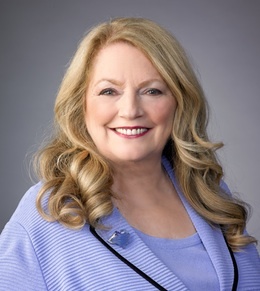 D’Arcy devoted years of service to her professional association (AAMFT) and is a Past-President of the Nevada Association for Marriage and Family Therapy, Founding Past-President of the Nevada Mental Health Coalition, and has led many community education and national seminars for professionals and the public. 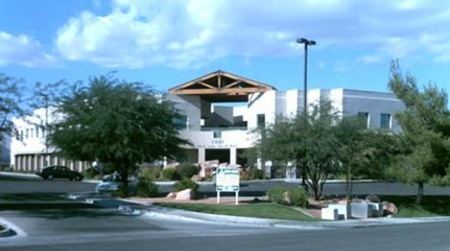 She consulted with the domestic violence program during its inception and early years in Nevada, founded the first eating disorders program in Las Vegas, created an intensive program for dissociative disorders and presented her findings internationally over a decade of the early years in the investigation of Multiple Personality Disorder. 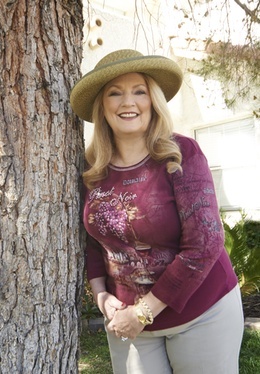 She has been honored as a Distinguished Woman of Las Vegas. As if that is not enough, D’Arcy is a bestselling author with Wayne W. Dyer and Brian Tracy in the Wake Up…Live the Life You Love series with Bouncing Back – Thriving in Changing Times. She has also authored Person-Centered Management, The Relationship Behavioral Inventory series, and various training manuals. Mentor Coach interviews Master Coach D’Arcy Vanderpool. Interview with Cynthia Kohles, Ph.D. I am young at heart, an energetic woman with more zest for life than most people. I have an incredible ability to learn from the past, forgive, and live a life of gratitude. My resilience is a blessing, my curiosity is invigorating, and my appreciation of beauty and excellence is a jewel in my life. I am happily in love with life, George, kids, grandkids, great-grandkids, more family, fantastic friends, and Bentley and Beau—the Shih Tzu boys. I love to entertain friends and share delightful and intense evenings of story and laughter. You will often find me cooking, gardening, designing environments, managing real estate investments, sailing, playing the piano, or relaxing in the spa. In my spare time I read, collect antique porcelain, and am happy being an ordained minister. I like to share my optimism, hope and joy with all those with whom I journey through life. My message is love.